It may seem a little bold and brash to say that if you are not using firewood packages from West End Firewood, then you really don’t know what you are missing. Truly. If you have never seen or used one, we ask that you give us a call or email us for a sample pack so you can evaluate one yourself, first hand. Rip it apart. Touch it. Put it through the paces. Best of all… BURN IT! That’s what it’s designed to do. Designed? Really? Yes – Designed. West End Firewood has over three decades of experience in the packaged firewood business. Box-square packages that are machine heat shrink wrapped and palette-wrapped for shipping. Our customer “satisfaction” is a top priority. 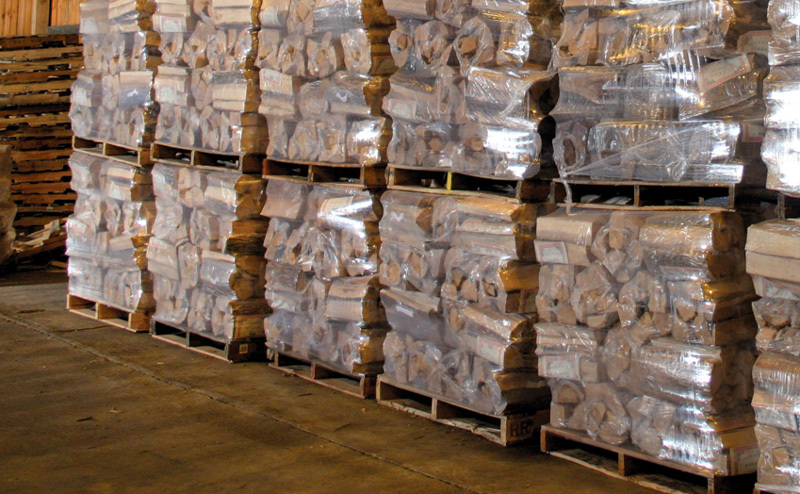 We stock over 180,000+ packages of firewood at any one time to accommodate urgent next day orders. You will never be shorthanded in a high-demand firewood season. Three tractor-trailer loads? Done it. One palette for local deliveries? Done it. Cordwood delivery? Done it. We don’t want to appear brash, but we want to get your attention. YOUR customers want high-quality firewood packages. How do we know? They tell us! We get emails all the time, unsolicited, from consumers who have picked up our packages at retail stores, or campsites that carry our product. They say “Excellent”, “Superior”, “Perfect”. “Best firewood we’ve tried”. Can you imagine having customers like that? They know what they want (and don’t want!). West End Firewood bundled firewood packages are priced very competitively. Why not offer the most premium firewood package in the industry to your customers? 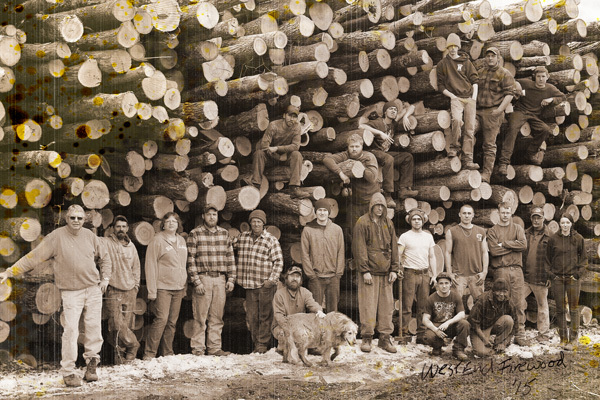 We’ve been in the Firewood business for over three decades. IT’S THE BEST! Let us prove it to you. 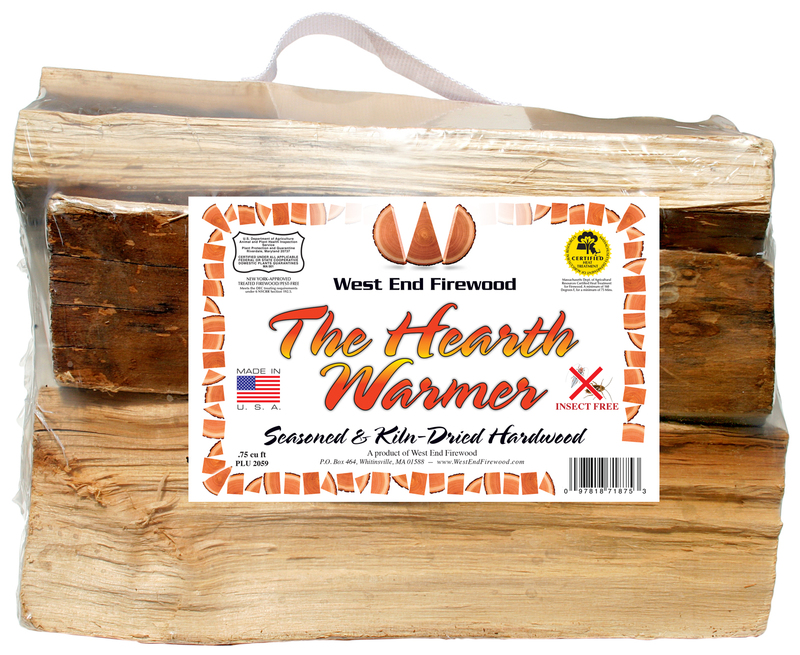 Ask for a FREE, no obligation sample West End Firewood “The Hearth Warmer” firewood package today. We can honestly say you have “never” seen anything like The Hearth Warmer. Compare it side-by-side to what you currently offer. Put a trial palette of West End Firewood packages next to what you currently carry and see what sells faster. We’re sure your customers will pick the larger, cleaner, and a better package of firewood from West End Firewood. Call or contact Bruce at West End Firewood to make your arrangements.